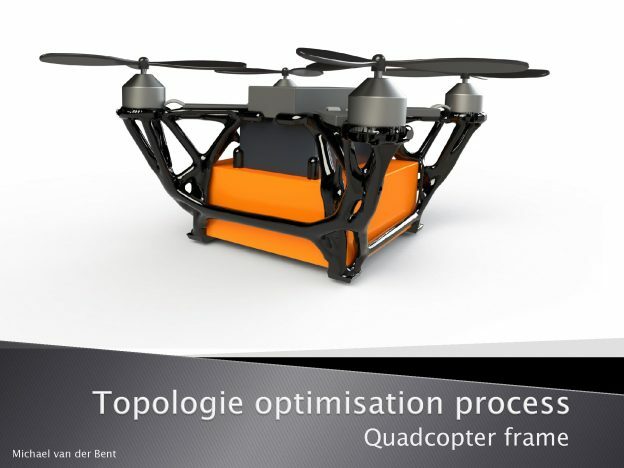 When Frustum, a pioneer in generative design and topology optimization software, turned to the GrabCAD Community platform to host a challenge based around its generative design and topology optimization software, Generate, participants were asked to optimize the design of a lightweight, 3D-printed quadcopter. Frustum was pleasantly surprised when the competition received more than 200 entries. 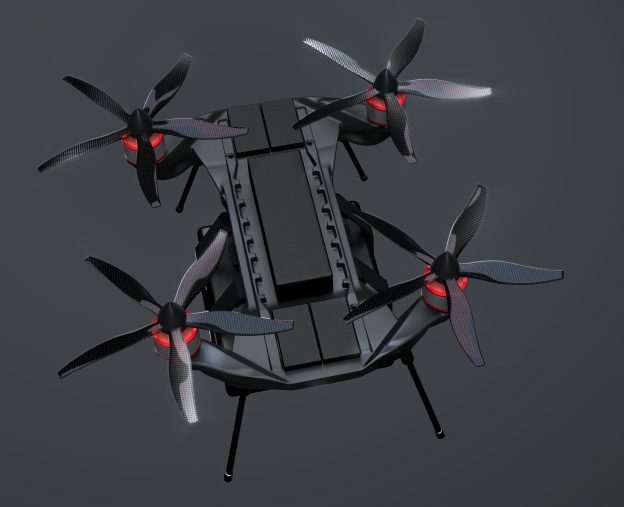 Using Generate and traditional CAD modeling software, designers were asked to create an optimized quadcopter airframe design using constraint-driven design methodology. Judging criteria included mass reduction from meta design space, payload delivery, takeoff, flight for 50 meters and soft landing, flight time, ingenuity of design space(s), design aesthetics, and ingenuity of load case(s). 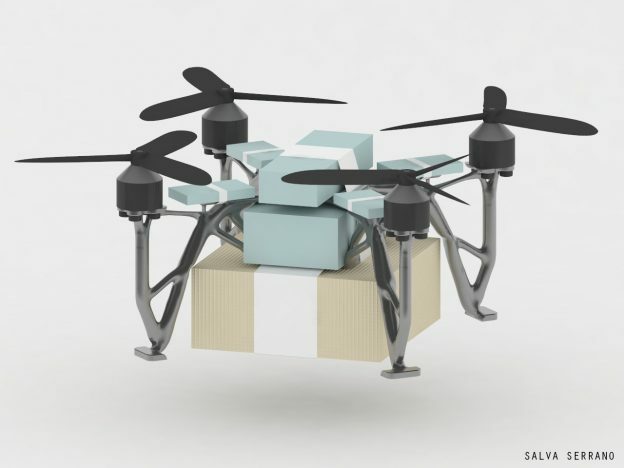 Salva Serrano's first-place entry in the Frustum Generate Quadcopter Challenge. Why it was picked: The design of the optimization addressed all of the requirements of the challenge while integrating useful features such as legs and feet that aid in takeoff and landing. The balance between the 3 dimensional constraints of the design space and the applied loads results in a quadcopter airframe that straddles the line between an over engineered heavy result and a result too delicate to be airworthy. Although the designer did make adjustments to the mesh created by Generate, the adjustments were minimal. The design also looks great. Carlos Fuentes' second-place entry in the Frustum Generate Quadcopter Challenge. Why it was picked: This entry looks toward the future where generative design is integrated more closely with traditional CAD techniques. This entry relied heavily on the designer's ability to work with meshes and to post process the Generate results, something we are actively working to improve in future releases of Generate. The airframe is very rigid and will endure many crashes. The design looks quite futuristic as well. Carlos could not be reached for comment. Michael van der Bent's third-place entry in the Frustum Generate Quadcopter Challenge. Why it was picked: The documentation and decision making processing submitted with this design are great. The design space takes into consideration all of the requirements for the challenge. The differentiation between a static and dynamic approach to applying loads demonstrates a clear understanding of the problem. The design process also demonstrates the user searching through the results for the perfect balance between performance and airframe mass, exactly how we imagine a designer using Generate. The airframe is very rigid and provides excellent protection of the payload and electronics should a crash occur. 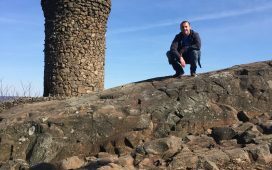 Design submissions were evaluated by a panel of Frustum employees, including Blankenship; Robert Wilson, president of Aerospace Advisory Group and former president and CEO of Honeywell Aerospace; and a member of the GrabCAD software organization. The winners received cash prizes of will receive cash prizes of $2,500, $1,000, and $500 respectively, as well as a free subscription to the Generate platform.